While the first generation BMW 4-Series Convertible is yet to be revealed the newly released Coupe details hint to what the drop-top version may hold. The 4-Series is BMW’s rebranding of what was previously sold as the 3-Series Coupe and Convertible. Convertible drivers didn’t get the chance to buy a drop-top BMW 1M and with the one year limited edition of coupes now sold, the German brand has seen fit to introduce a baby version. This time it is available as both a coupe and convertible and despite the lack of an M-Sport badge this is a serious performance model. BMW once again has a range topping high-performance super-convertible in their range. Namely a new BMW M6 Convertible. Powered by the same twin-turbocharged 4.4-liter V8 as the latest M5 saloon the M6 will be both more powerful and more economical than the car it replaces. 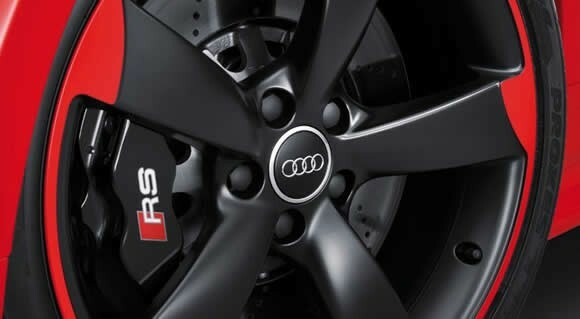 A new (even) hotter version of the Audi TT RS Roadster is due to be launched at the Geneva Motor Show in March. Audi have squeezed an extra 20 horses out of the characterful five cylinder engine and hefty TFSI turbo to make the TT RS plus.